Only $97 for 12 MP3s. $137 for 12 CDs. Each MP3 / CD is approximately one hour long. 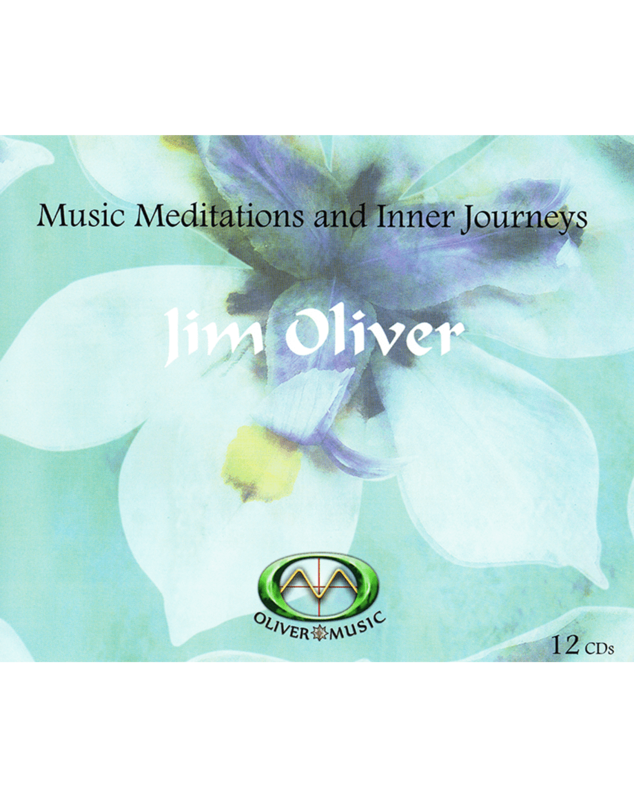 Jim Oliver’s Music Meditations and Inner Journeys Very Special Offer. SUPER VALUE! 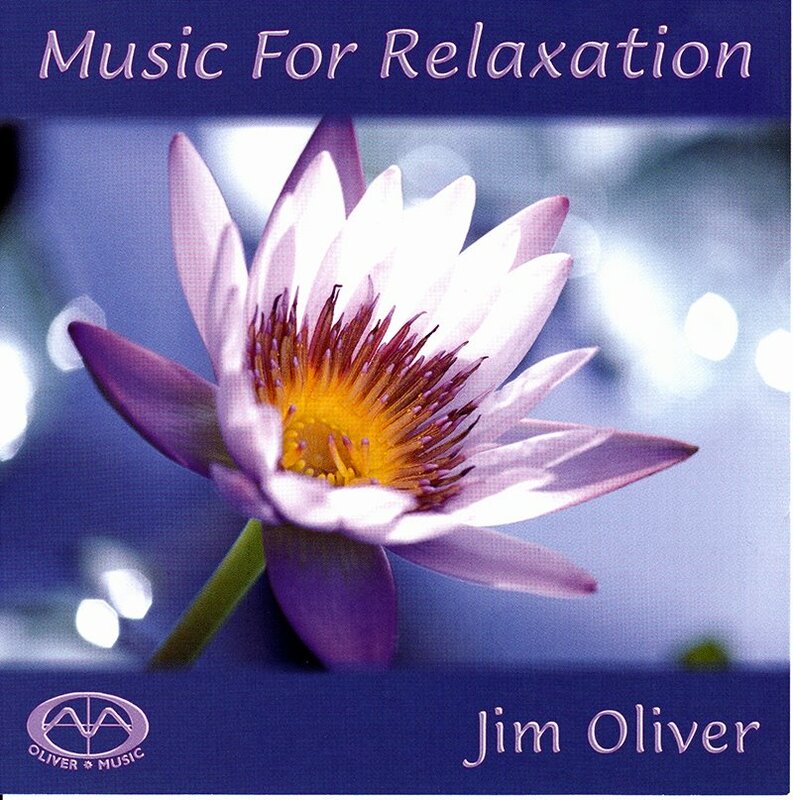 Jim Oliver’s Music Meditations and Inner Journeys Very Special Offer. Only $97 for 12 approximately one hour long MP3s. Only $137 for 12 approximately one hour long CDs. Click NOW and take advantage of this GREAT Offer! Emmy Award winning composer and multi-keyboard artist Jim Oliver created this series of truly unique spontaneously created 5D Music Meditations. All you have to do is “show up” and be open to the experience. Stand with the innocence of a child. Anything can change in a moment. This series is dedicated to the ushering in of the new paradigm utilizing music as a carrier wave for the higher energies. Jim’s gift is to spontaneously compose music based on the energy and focus of the group of people present and those who will tune in to the replay. We are all an integral part of the orchestra of life. The music meditation for each show is unique and spontaneously created especially for that show. Today’s keyboards offer a vast sonic pallet ranging from delicately sublime to incredibly expansive layered textures. Through 55 years of piano, classical organ and keyboard study Jim masterfully weaves the sounds and music into a sonic tapestry, which include your own unique energy signature. Every time you listen to each original 5D Music Meditation you will re-experience yourself in a most divine way. As the founder of Synphonics – a process in which specific frequencies and waveforms are used to address specific ailments – Jim has a talent for developing exquisitely beautiful music that harmonically resonates with your cellular structure. In energetic form we are a hologram – a figment of our own imagination. Jim’s music offers the potential and possibility of a new beginning based on our clear and pure intentionality. As the music pours forth, Jim’s warm and mellow voice will be offering key words and phrases for guidance. These Music Meditation events are something you truly will want to experience over and over and over again. It Is Time. Together we will explore and experience ways to meet life from our Divine core even when surrounded by a storm. We are the conductors of our own symphony. Sometimes everything flows nicely and sometimes things can get out of tune. Elements of Balance and Harmony are implemented with musical patterns, chord progressions and orchestral instrument combinations that support resolution! Here is what Kenji Kumara says about Jim’s Live Streaming Music Meditations. This focuses on stepping outside the “dream” and accessing cellular mind. We will create the intent to energetically guide our Divine Self to emerge fully. This will be more about letting go, releasing and transmuting than about gathering more “stuff”. We will be making room for the new paradigm with a magical musical meditation journey to Your Self! Reveal the truth within us in space and time. Authenticity and clear intentionality offer you an opportunity to step through the aperture. The 2 Music Meditations on this CD or MP3 contain eclipse energy of May 20, 2012. From stillness to infinity, these 5D Music Meditations ignite your heart. You are the love of all that is. Connectivity to the one true self. Today’s inner journey focuses on our true, unaltered state of being. The less encumbered we are with skewed perceptions, the more we bloom and live in our naturalness. Notice how easily and gracefully nature does this. Even in all life’s challenges our natural beingness can prevail. In every moment life presents us with an opportunity to see through separation. We can bloom into a deep relaxation and knowingness of being infinite consciousness embodied. It is natural to be joyous and enthusiastic as well as wanting quietude. It is natural to be uniquely talented while appreciating all talents. It is natural to rest in the awareness that there is no “other” only “thy-self”. It is natural to be in the flow of consciousness and be guided by inner wisdom. Let today’s musical journey free up all the life force energy expended in worry, suppressing, and criticizing. Bloom into the fabulous expression of Source. This is the kind of music the world is in urgent need of – especially right now and actually all over the planet!! This is heavenly inspired art helping all humans to evolve to the heights we were created to experience already on earth….. 1001 thanks from Munich city in Germany…. You are the divine made manifest in the physical, and as real as our bodies are and seem to be, you are Infinite Awareness first and foremost. At some point ,” you “pop out of this duality and “see” there has never really been a You. Then life moves you as a mind/ body through a more authentic life. Ahhhhhhh, Being! Everything in life is an opportunity hard-wired by the divine to see the truth of who you are. Look closer at everything that transpires in your life moment to moment and you will see unlimited opportunities to REMEMBER your true nature. Let’s say jealousy just arose in your field of experience. No problem!! Just use that feeling of jealousy as a doorway into the remembrance of your true nature. Allow your heart to ask the question “if I am infinite awareness, what is there to be jealous of?” Here is a doorway to awakening. There is no judging of jealousy, for the moment is perfectly orchestrated as a potential tool to allow consciousness to wake up to itself through YOU! Allow this musical journey to bring you to a place where each moment is applauded and not resisted. Once we anchor remembrance into our consciousness, then the aliveness of life calls to us in every moment. This topic can be a slippery slope because as soon as you say innocence, you invoke its polar opposite – guilt. Until innocence is fully embodied and applied universally, it cannot operate purely. Feel into true innocence and you bump into true wisdom. When innocence is fully honored, true perception is unshakable and cannot be distorted. This musical journey is dedicated to the core innocence that is LOVE and to the non-judgement of guilt. Even though duality and polarities exist, they do not have to be experienced as opposing forces. Just like there are positive charges (masculine) and negative charges (feminine), neither one is good or bad or more preferable. They just ARE, and there is no conflict in ISNESS. If you continually engage in rejection or acceptance of a polarity, you will be exhausted and in separation consciousness. 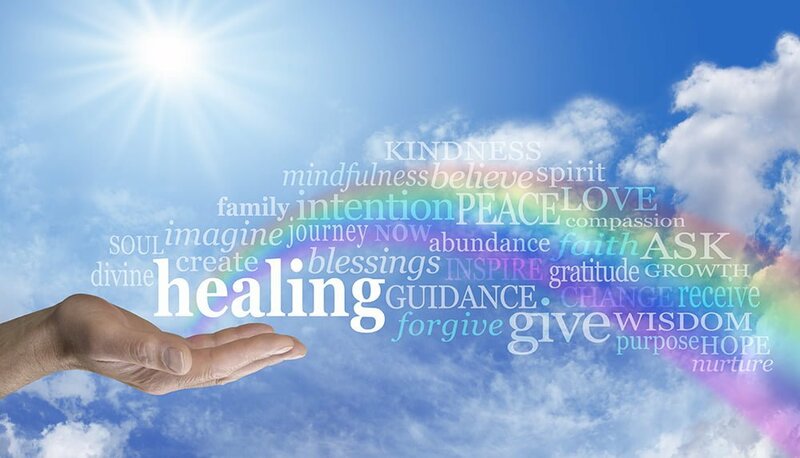 Unify the polarities and you have uncovered the secret of healing. This 5D musical journey is dedicated to the balance of polarities which leads to transcending judgment. Deepest Gratitude to Jim Oliver & the Team for the angelic sounds that indeed touch the heart, connect to the divine. Thank You for the gift of your Light and Love. Wholeness is ultimately the collapse of the illusion of a separate self into the arms of everything and nothing. Then does true liberation embody itself in flesh. There is no me, no mine, no I, no identification…..only Stillness that is electrically alive. Let’s go on this musical journey together and honor where we all are at in this present moment, in this Dance with Illumination. To thread the needle of awakening requires the wiping out of everything you thought was true and important. Then you are free to be in celebration of the one love that breathes the truth of existence into being. Are all those thoughts really owned by you or do they just arise in consciousness? Is consciousness doomed to roll the stone up the hill endlessly only to have the stone roll back down the hill? Or at some point will consciousness be freed of its identification with the body – mind and soar into celebration of being infinite awareness? Celebrate and radiate with deep gratitude. 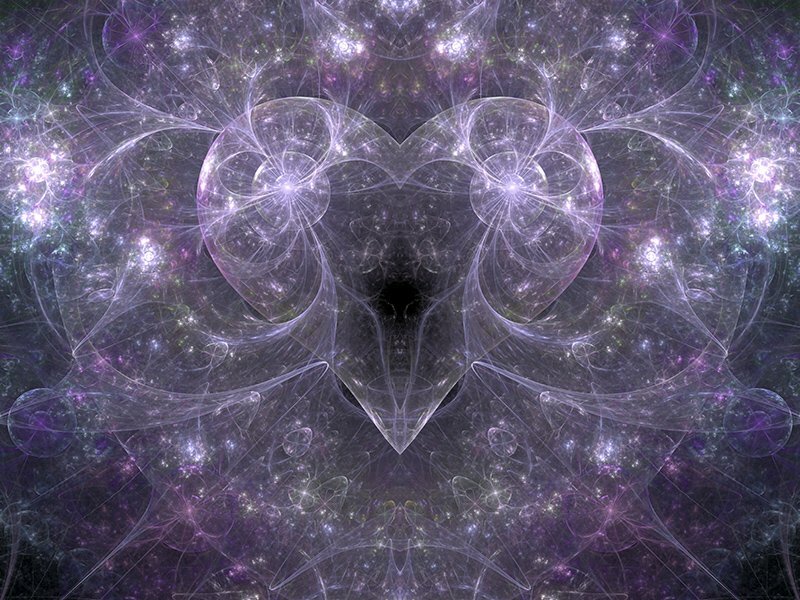 You are love embodied! Multi-keyboardist Jim Oliver is an Emmy Award winning sensitive and dynamic musician and composer of more than 3500 hours of transformational healing music. Jim’s extensive formal music study and training enables him to bring forth unique combinations of sustained tones, melodic notes and chord progressions which are woven into exquisitely beautiful music that speaks to the soul and expands one’s consciousness.